We wish to inform the general public and all candidates that applied for admission into the 2018/2019 academic session, that the management has uploaded online the first and second batch admission list, which contains the names of all admitted students. A. 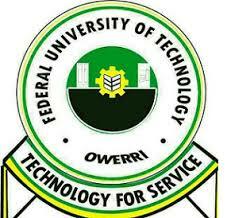 Visit FUTO admission status checking portal at https://portal.futo.edu.ng/Modules/Admission/CheckAdmissionStatusRegular.aspx. B. Fill in your JAMB Registration Number in the provided space. C. Then you Click on Submit to check admission status. Kindly Click on The Facebook Share Button And Share With All. Thanks!